UK intimate care assistive technology provider Closomat is introducing a new solution that helps address balancing client limitations as a result of injury, and their expectations in terms of lifestyle. 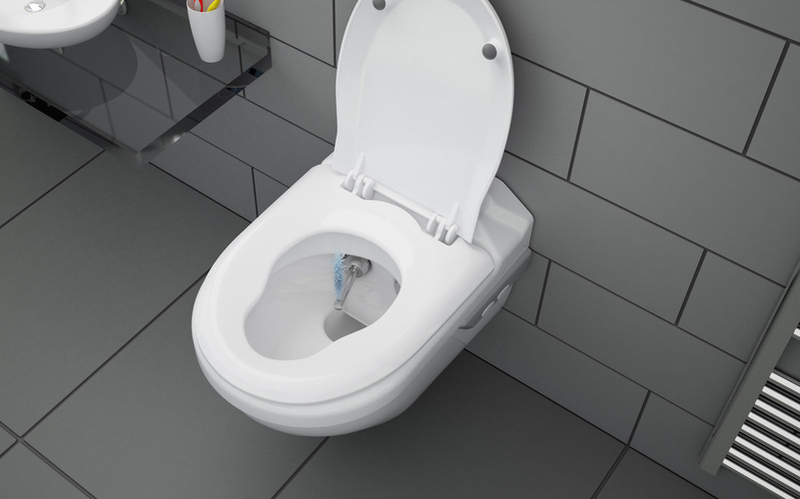 Asana by Closomat is the latest evolution in assistive technology for enabled toileting. Primarily aimed at people who, because of accident or injury, would struggle to wipe themselves, or who need (or want) an alternative means of cleansing to wiping, Asana delivers ultimate hygiene at the push of a button. Asana by Closomat looks like, and can be used as, a conventional contemporary styled wall-hung WC. But it features integrated push-button controlled douching and drying. The push-button operation triggers the flushing and douching process, so the washing takes place over a clean pan. On completion of the wash cycle, the douche retracts, self-cleaning in the process, and warm air drying follows. Users can personalise the process to their individual preference, with the capability to either preset the operation to that choice, or choose options with every use. Options include a steady, pulsing or rotating spray, and water temperature variation. The options further extend to Asana’s aesthetics. It can be wall-mounted in front of a concealed cistern, or onto a range of decorative panels in a choice of finishes. Personal taste extends through to the flush mechanisms, too. Closomat has drawn on more than 55 years of experience in enabling people to go to the toilet with optimum dignity, independence and hygiene in the development of Asana. The pan is produced in the UK—in Fenton, Stoke—in the first ceramic sanitaryware factory to open in the region for more than 20 years. Uniquely in the sector, Closomat offers a single source complete package, in-house, from design advice, through supply install, commissioning, and any ongoing service and maintenance.